Sir Michael Atiyah OM FRS FRSE FMedSci FAA FREng died on 11th January, aged 89. The British-Lebanese mathematician was born on 22nd April 1929 to a Scottish mother and Lebanese father and, after spending both his undergraduate and postgraduate time at Trinity College, Cambridge, went on to win many awards including the Fields medal (arguably the most prestigious award in mathematics) and the Copley medal. Atiyah’s primary field of study was geometry, and it was his work with Isadore Singer in formulating and proving the ‘Index Theorem’ that won him the renowned Abel prize. According to the Abel committee, they both played an “outstanding role in building new bridges between mathematics and theoretical physics” and the theorem is “one of the great landmarks of twentieth-century mathematics”. 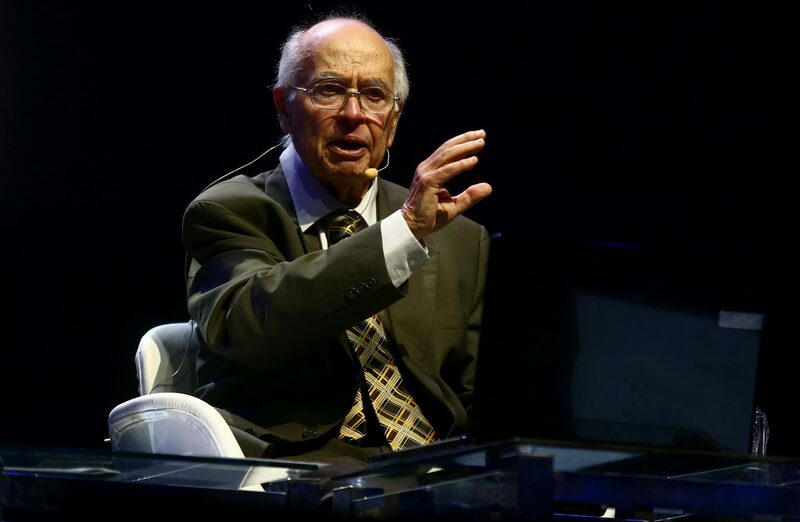 In an interview, Atiyah said: “I was always interested in mathematics from a very young age,” and speaking of his decision to study maths he said that “I enjoyed thinking, I’m good at it, and will continue with it”. That was certainly what he did; mathematics has often been cited as a young man’s game, but Atiyah won the Abel prize in 2004, aged 74. Furthermore, at the Heidelberg Laureate forum in 2018, Atiyah presented a “simple proof” which he claimed solved the notorious ‘Riemann Hypothesis’ which has been unsolved for almost 160 years. Alongside his research, Atiyah was president of the Royal Society, between 1990 and 1995. Current president, Venki Ramakrishnan, said that not only was he “a great mathematician”, but also that he “was a wonderful person who […] showed that he was a true internationalist and a fervent supporter for investing in talent”. The passing of such a great mathematician marks a huge loss for the mathematics community. Speaking to the BBC, Michael’s brother Joe Atiyah noted that Michael had been described as “the best mathematician in this country since Sir Isaac Newton” by multiple professors of mathematics. Pacemaker electrodes – a quick fix for major depression?